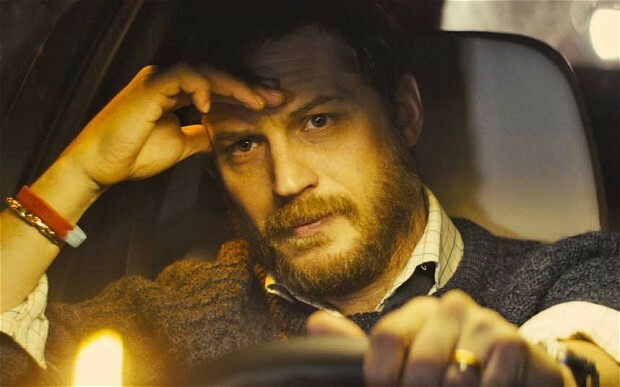 As Ivan Locke (Tom Hardy) drives along what is either the M4, M40 or M1 (his job is in Birmingham and he’s on his way to London, but he seems to be putting on a Welsh accent?) leaving his wife, sons and impending concrete pour behind, he contemplates fatherhood. From the imaginary conversations he has with his own father inside the car, to the distant conversations he has over the phone with his living sons, and finally, to the anticipated conversations he will have with his newborn child when he gets to London, Ivan Locke is trapped in a confluence of time of past, present and future. Though Jim Jarmusch’s hipster vampire flick is not quite so concerned with fatherhood, I would argue that it is very much preoccupied with the live passage of time. For beings who have lived through centuries of so-called humanity, Adam (Tom Hiddleston) and Eve (Tilda Swinton) have become apathetic. Adam is a recluse whose creativity persists despite his reluctance to support it in any embodied kind of way, and Eve, though the stronger of the two, is also weary of engaging with the human world; the pair don’t even dare take human victims for fear of ingesting contaminated blood. For them, time is not so much a trajectory as it is an endurance. Its infinite nature reflects their own. They represent, through their immortality, past, present and future at once. In addition to time, both films are concerned with birth: Locke explicitly and Only Lovers metaphorically. While Locke is on his way to a birth, all the while birthing himself; from his demons, his past life, his worldly constraints, and the not-yet-set-in-cement person he sees himself as, Adam and Eve have and will again give life (through a sort of death, but leading to immortality) to others; they are the proverbial beginning and end of humanity. So while the two films screening tonight don’t share a filmmaker, writer, actor or actress in common, they do share something. Their reflection over time, humanity and what restrains us in our search for something better is certainly shared. The best thing about a double bill at the Astor is that the links are often different for all of us. The best way, then, to work out what the films mean to you, is to come along and see them side by side. Sometimes a pairing can offer a new lens through which to see something you already think you know.